I was recently designing a book cover for a book of poetry, and I thought of a photograph that would work wonderfully for it. 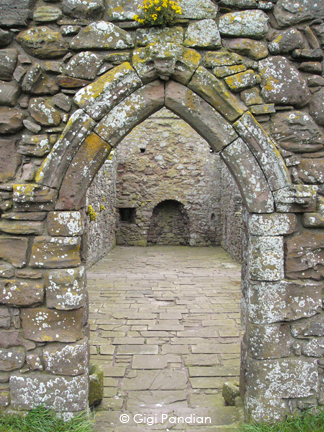 It was the top image below, a doorway at the Dunnottar Castle ruins in Scotland. 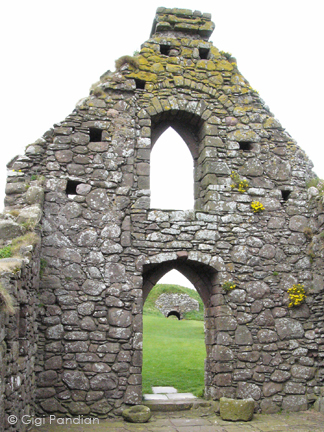 When I pulled out my Dunnottar Castle photos to find the image, I realized there was what looked like a face carved in stone above the doorway. 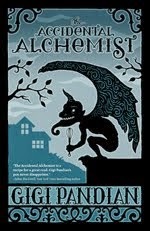 I guess I gravitate towards gargoyles and grotesques even when I don't mean to! 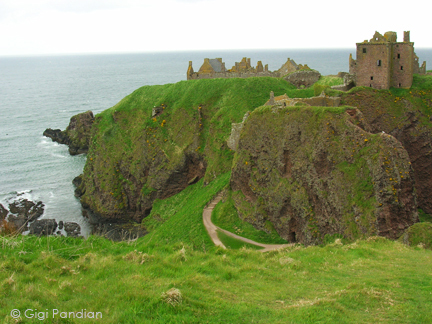 I haven't looked at these images for a while, so I'm glad I pulled out these old photos of Dunnottar. 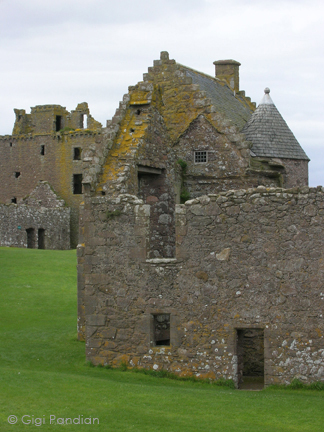 This dramatic Scottish landscape is why I set part my first mystery novel in this region of Scotland. 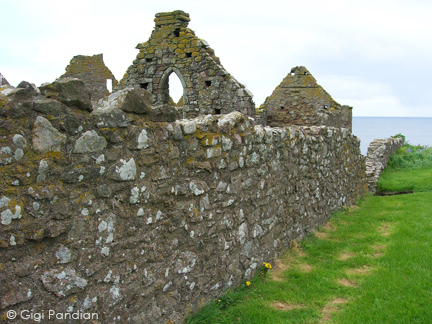 I'll talk more about Dunnottar later in the year, but for now, here are some more photos of the moss-covered ruins. Wow this place looks amazing. 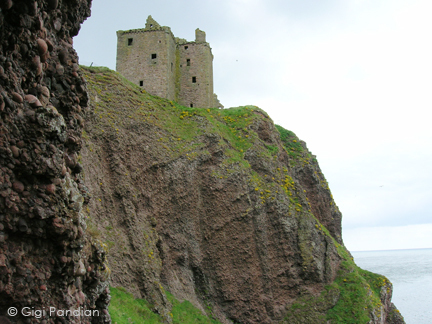 I can imagine the beauty of Dunnottar Castle in it's former glory. I love looking at these photos.